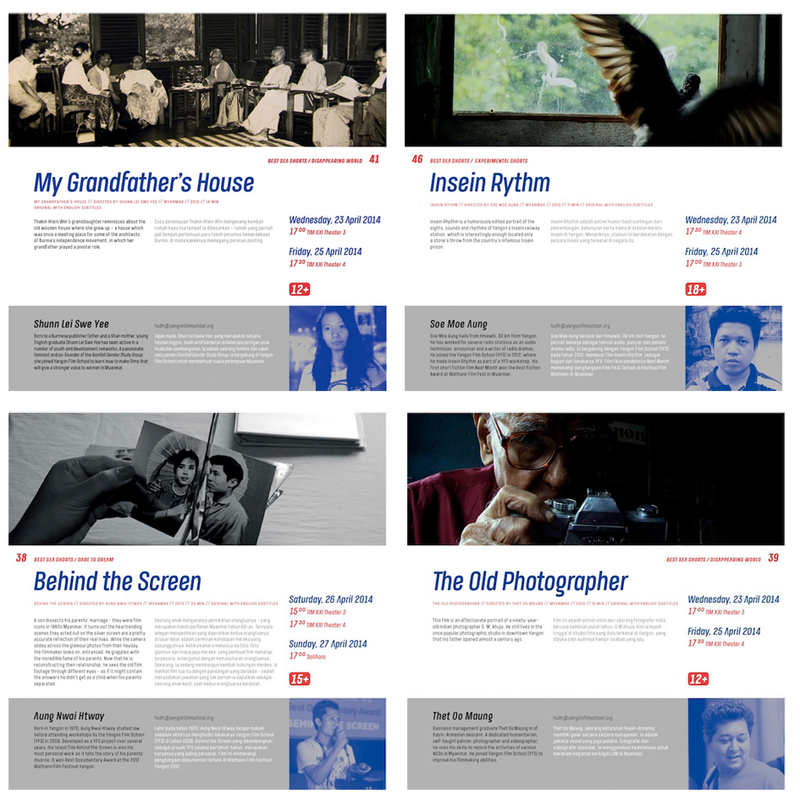 The Yangon Film School is accepting applications for its new intake of students in 2014 for the Beginners’ course The Art of Documentary Filmmaking and follow-on courses, scheduled to commence in June 2014. 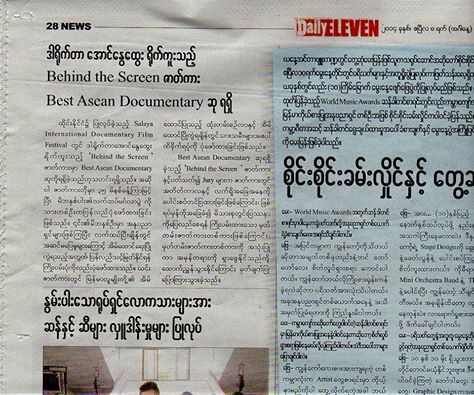 Yangon Film School is delighted to announce that Aung Nwai Htway’s documentary BEHIND THE SCREEN received the award for Best ASEAN Documentary at the Salaya International Documentary Film Festival in Salaya, Thailand on Sunday, 30 March. We congratulate the filmmaker and his whole crew – what a great achievement! 11th Green Film Festival in Seoul (May 8 – 15, 2014) is Korea’s first and largest Green Film Festival presented by Korean Green Foundation. It’s an annual festival that seeks to share the hope for a better world where all the lives can be in harmony with environment and nature. During 8 days event we present more than 100 films (shorts and features) every year, with themes ranging from various environmental problems from all over the world. In 2013 the Festival screened over 140 features, documentaries and shorts from over 40 countries. And this year, GFFIS received 1,059 submissions (358 features and 701 shorts) from 97 countries for Green Competition, which is our highest volume, so it could represent an affirmative step towards the Festival’s growth and possible solutions to environmental issues.